I am wondering if we should reorganize the way we think about “class” in America. In a media, political, and academic environment that confuses the working class with the “middle class,” and calls everyone who is not a “moderate” or a “conservative” a leftist, it seems to me that we should consider the young people that turn out for Bernie Sanders as a group unto itself, with the analysis appropriate to its numbers. First, there is the obvious appeal to the Sanders platform: soaking the “rich” (with possible repercussions for the “middle class” parents of his enthused following; free college; fully socialized medicine; and even legalization of marijuana (http://feelthebern.org/bernie-sanders-on-drug-policy/). I.e., a prolonged childhood with lifelong “sticking it” to parents who hoped that their kids would someday grow up and assume adult responsibilities. Here we have all the elements of generational conflict. But more, second, there is the education that young people have experienced. From popular culture to both public and private schools, their education has been either rebellious (leaning toward anarchism: https://clarespark.com/2013/04/16/blogs-on-anarchismpunkprimitivism/) or “progressive,” dumbed down and forgetful of the fierce and instructive debates that energized the Reformation, the Enlightenment, and the 1930s, when only the very young and the very old failed to distinguish between communism, right-wing social democrats, and FDR’s “progressive” version of moderate conservatism. Many an academic has suggested that “youth revolt” was instrumental in the rise of the Nazi party after the Great War. I am not comparing Sanders to a young Hitler, but rather to a frightening pied piper, leading his young followers over a cliff, while promising new and better solidarities. 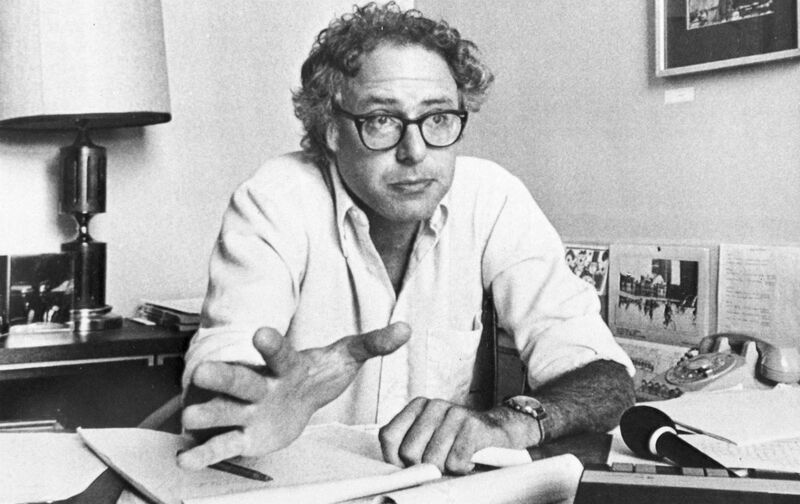 Young Sanders as Mayor of Burlington, Vt. There may be other reasons as well. One is the successful indoctrination of college students into socialism that Jean Longuet outlined in 1901 in the book “The International Socialist Review” which has been adopted and is being taught in US universities. No true leftist would confuse a populist with a communist. But it is true that many Leninists have teaching jobs, and it is hard at times to distinguish them from populists like Sanders. But I think that the artificial prolonging of blissful dependency is a bigger attraction for Sanders supporters, as Maimon Chocron observed above. You have a good point. But today’s leftist political party (Democrats) are not “true” leftist. They use the word populist as a substitute word for their true socialistic agenda. Their only solution for every issues is an increase in the intrusion of the Federal government, i.e. : the welfare state, or the suppression of individual and property rights. They know they must use different words to describe their agenda and “populist” is one of the best available. It gives the uneducated listener the impression of popularity for their positions. In today’s social society, Facebook, Tweeter, etc, everyone wants to be “popular”. That is a conspiracy theory. In my experience in academia, the Leninists were proud and open about their “authenticity” as the only true radicals (revolutionary socialists). This is a difficult issue to resolve one way or another, as there, indeed, “left-wing social democrats” who masquerade as populists, the late Ralph Miliband being one example. Let us remember that the very concept of a teenager is post-industrial. A child became an adult as soon as he/she could join the workforce. Humans started having children usually in their teens. With the advent of higher education and delayed child rearing, the “teenager” was born. Quasi adult independence without the responsibility or accountability of an adult. I would say the “youth” voter is a voting class looking to prolong the interim cart blanche status of being a “teenager”. No wonder they are the easy pray of populists…..The revolution will be tweeted.